Yesterday I posted about printing on canvas material using my ink jet printer. Today I'm showcasing 3 cards I made for Mother's Day using this technique (and the freebies from yesterday). 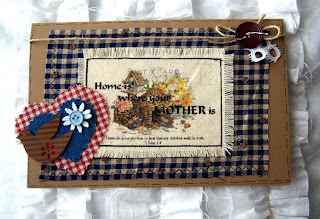 I have one more Mother's Day card to share with you using the printed canvas, but it's for my mom and.......she reads my blog! So.....that one will have to wait till next week sometime! These are all so pretty. 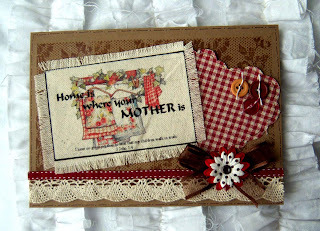 I've been working on my own mothers day cards and these give me some great ideas. 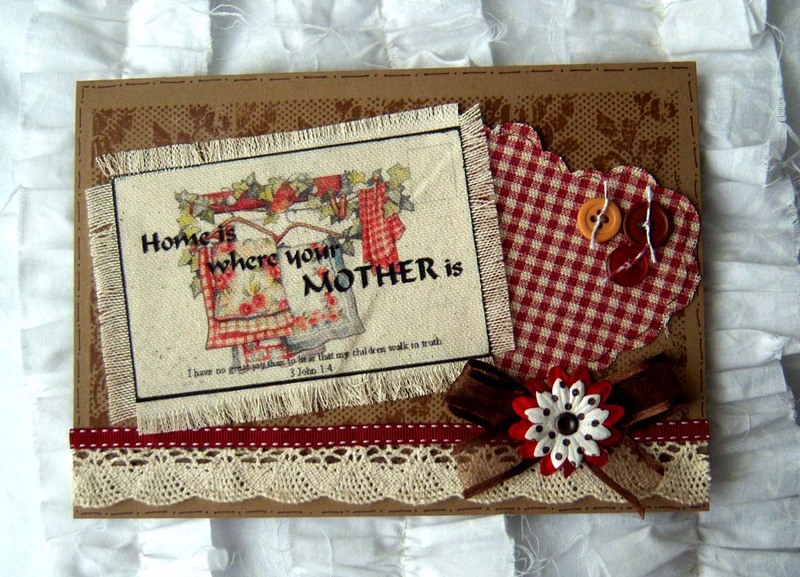 Your cards are so beautiful...I love the gingham on each one! Such lovely pieces. 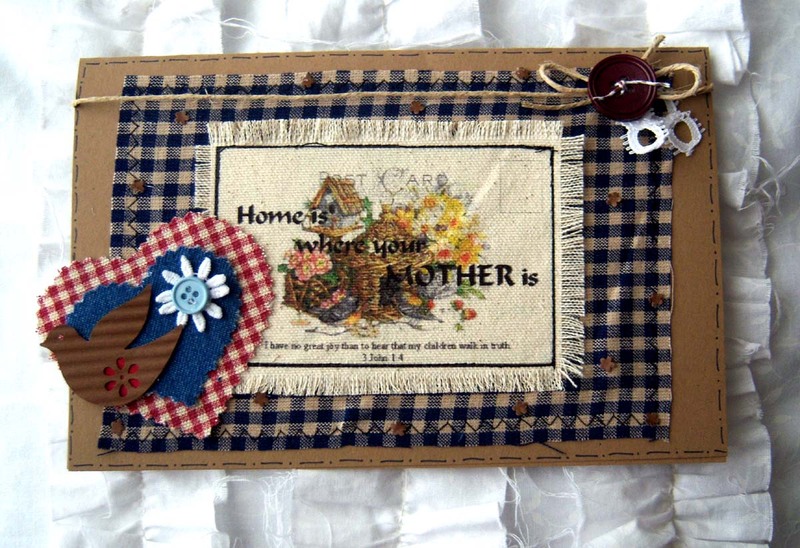 The use of the canvas on each of them really gives them a homespun look. I am amazed at what you do with canvas. Lovely sentiments and colors too. Can't wait to see more. So darling! 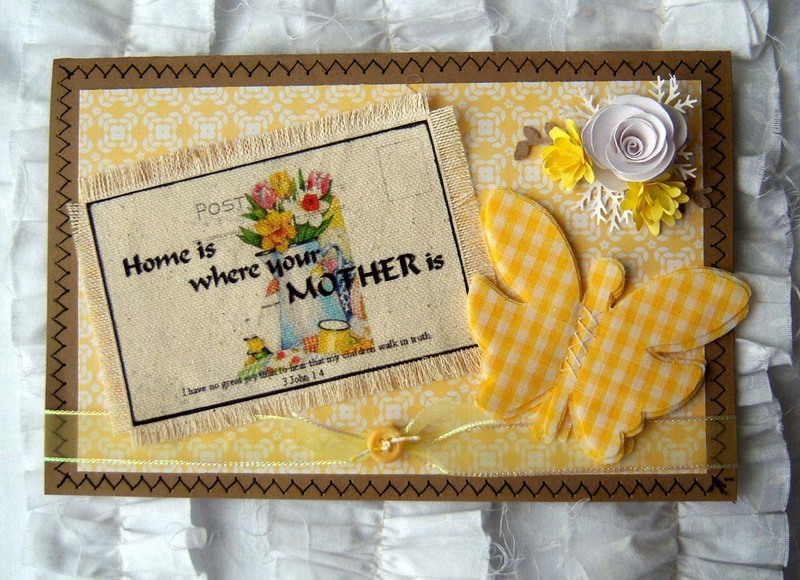 Love the postcards printed on canvas - awesome idea! These cards are just wonderful! I am so in love with the printing on canvas, and you've done an amazing job! Thanks for sharing them in this week's challenge at Word Art Wednesday, and have a blessed week!